AB, Gronk, and Kuechly get custom Nike cleats and gloves to symbolize their greatness in the NFL and Madden. Antonio Brown, Rob Gronkowski, and Luke Kuechly. These guys are at the top of their game and are the best at their positions, symbolizing greatness on the gridiron. 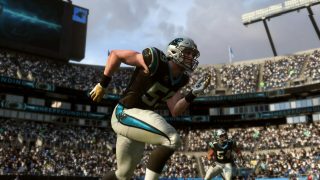 Their skill is mirrored in Madden NFL 19 with their introduction into 99 Club and are critical game changers when they’re on your team’s roster. Brown has the surest hands in the game, Gronkowski is a mismatch nightmare, and Kuechly can stop offenses cold. 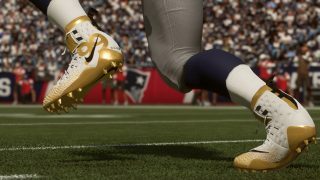 As the gold standard of NFL talent, Nike decked them out with unique gold and white gear that symbolizes their greatness and their mark on Madden with 99 OVRs. Now you can get this amazing Nike gear in game. In Play Now and Franchise, gamers will get to see Nike’s game-winning style in action. 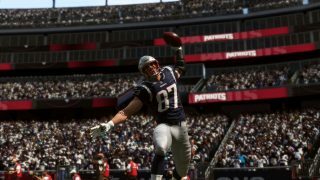 In Play Now, AB, Gronk, and Kuechly will all be sporting 99 Club cleats and gloves. So, whether you’re playing with your favorite team or duking it out in an Elites vs. Legends grudge match, you’ll see these slick Nike designs. 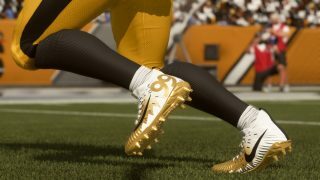 These players will have the cleats and gloves on by default, but you can edit them in Roster. The other game mode to feature the sick gear is Franchise. From the preseason to the Super Bowl, these three Nike athletes will be showing off their gear throughout their careers in Franchise. From year one to retirement, gamers will not only see the gear on the Nike 99s, but will also be able to sport the gear themselves if playing a career of a created player. It’s just a quick edit in Roster away. 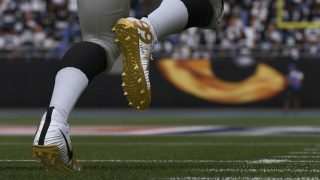 Nike has long symbolized elite performance in sports, now it brings it to the next level by elevating these 99 Club players by gearing them up with custom, limited edition cleats and gloves in Madden 19.